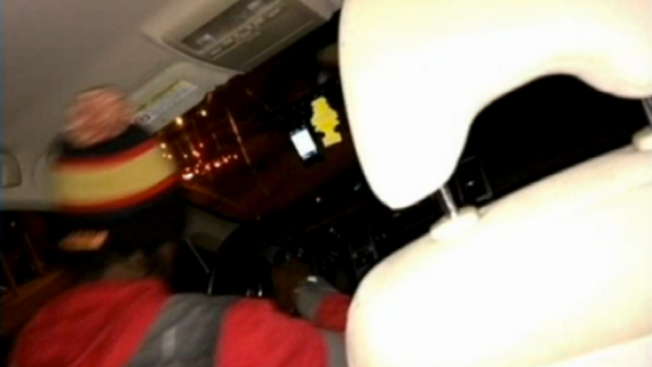 San Francisco's District Attorney is filing charges against a former UberX driver. San Francisco’s district attorney is speaking out for the first time against ridesharing companies like Uber and Lyft. District Attorney George Gascon is pledging to crack down on drivers behaving badly and push for stricter insurance requirements. Gascon’s office on Tuesday filed charges against an UberX driver who allegedly verbally assaulted a passenger last fall. The passenger claimed that UberX driver Daveea Whitmire was verbally and physically abusive. He filed a police report, but no charges were filed. Now, Whitmire is now facing a misdemeanor charge of battery on a transit passenger. In April the NBC Bay Area Investigative Unit discovered that Whitmire had served time in prison before becoming an Uber X driver. Although Uber’s policy is that it runs background checks on all applicants and disqualifies anyone with a criminal record in the past seven years, the Investigative Unit found several drivers across the country with criminal records. In the latest incident, a Los Angeles UberX driver was arrested on suspicion of kidnapping a woman and taking her to a motel room. Uber spokesperson Lane Kasselman sent us this comment: "The driver was deactivated from the Uber platform last year and we will defer to the criminal justice system to take matters from here. Uber works with Hirease to conduct background checks, which all drivers must undergo and clear to partner with Uber. This driver had a clean background check from Hirease. Uber maintains a zero tolerance policy for any alcohol and drug-related offenses on any background check with any partner nationwide, unlike, for example, the taxi industry in San Francisco, which permits drivers with DUIs and drug offenses." District Attorney George Gascon said law enforcement will now be stepping up efforts to regulate ride service drivers. “We want to send a very clear message,” he said in an interview with NBC Bay Area, “that this is an industry that is also growing and making a lot of money they have to be a good corporate citizen. Gascon is now working with the California Public Utilities Commission to implement stricter hiring practices and insurance policy requirements. The California Public Utilities Commission currently regulates cell phone enabled transportation companies (known as Transportation Network Companies). Gascon said that, at the moment, using a TNC to get around could be a risky proposition. “We have no way of guarantying anyone the people that are driving those vehicles are going to be someone that is reliable,’ he said. Gascon says he hopes the regulations will implemented later this year. Uber drivers continue to raise conce we’ve also discovered that today an uber x driver in l-a was arrested on suspicion of kidnapping a woman and taking her to a motel room. we did reach out to uber for comment but we did not hear back. live in the newsroom, elyce kirchner nbc bay area news.